Prefabricated metal buildings could be the ideal way to go for anyone that is looking erect a new structure, regardless of what kind of building they may need or want. Steel and metal buildings are available in a wide variety of sizes, shapes and styles, and with each one comes a number of advantages that structures made out of more conventional materials will not be able to beat. By choosing to go with prefabricated metal buildings instead of structures made out of more conventional materials, people can do a lot to help their encourage greener technology. Steel arch buildings and other prefabricated metal buildings commonly come from recycled steel. Steel has been recycled in American for over 150 years, and today is currently the nations most recycled material. Prefabricated metal buildings that are made from recycled steel encourages a process that can save as much as 75 percent of the energy that would normally be used to make steel from raw materials. That is enough energy to power nearly 18 millions homes a year. Metal building kits and other prefabricated steel buildings are available in a wide variety of shapes and sizes. Some people may be considering carports or metal hangers to house their cars and airplanes. Not only are these prefabricated metal buildings very strong, but they can help to protect anything inside from the elements. Steel hangars could protect an aircraft from hail, high winds and UV damage over time. Investing in carport kits could also be beneficial, especially if one lives in an area prone to hail, due to the fact that 50 to 70 percent of hail damage claims to cars are not repaired. Prefabricated metal buildings are not just strong and sturdy, but they are often more affordable as well. Many of the smaller structures can be put up with the help of just a few friends or family members. 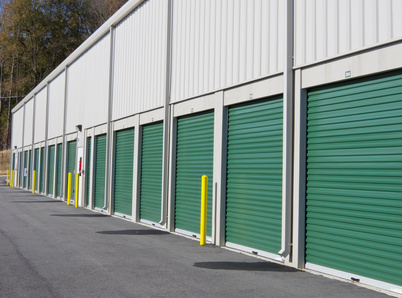 Anyone that is looking for a safe and environmentally friendly structure that will protect their belongings as well as their bank accounts should make sure to take a long look at prefabricated metal buildings.